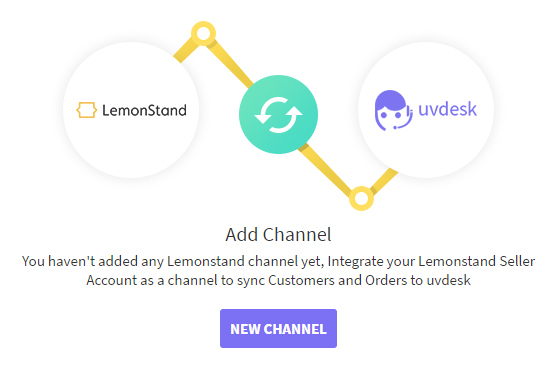 Check the service plan details purchased from LemonStand on the UVdesk Tickets and distinguish the genuine customers and avoid the fraud customers. Now, you can furnish close attention to each and every customer’s query coming from your LemonStand eCommerce Store and resolve their issue in the less amount of time. On the Dashboard, you will see "APP CENTRE" menu and under it, you will find "LemonStand". 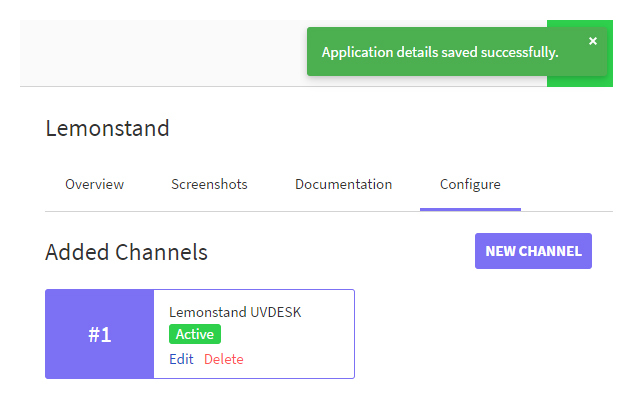 Click on that button and LemonStand App will get installed. Alternately, for uninstalling the app, go to LemonStand "Overview" section then click on Uninstall button. 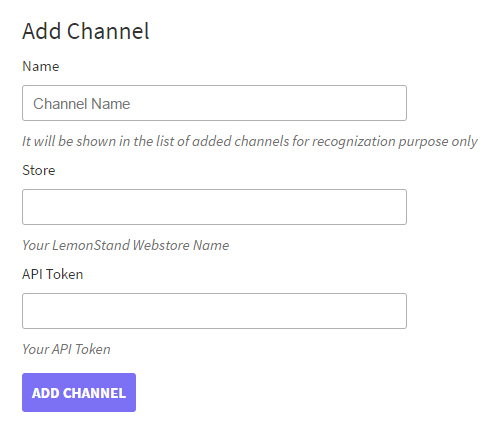 Enter Name, LemonStand Webstore Name, API Token to add LemonStand Channel in the UVdesk. 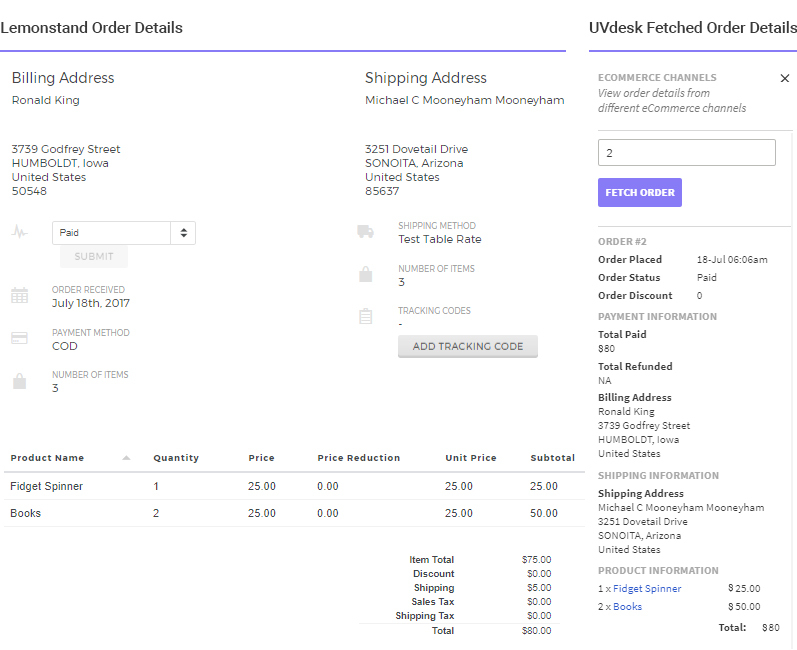 Follow the steps provided in the UVdesk Portal for generating the configuration details.